In light of the increasing role played by the NGOs sector in Egypt and out of its strong belief in the importance of the Civil Society as a catalyst for development, PDF established the Civil Society Support Centre ( CSSC) to provide a range of programs to civil society organizations. 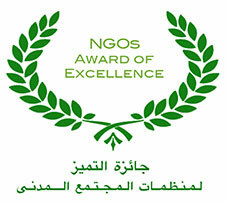 The Civil Society Support Centre was set up by PDF to tackle the development of non-governmental organizations and communities by offering practical trainings, theoretical trainings and technical support to enhance their organizational capacity to enhance the organizational capacity of those NGOs, and leading them to operate in a more sustainable and effective manner. The CSSC mission is to support the development & institutional capacity building of NGO’s to foster a dynamic and sustainable civil society. The civil society support center (CSSC) aims at elevating the capacity of local NGO’s & civil society organizations in Egypt to enable them achieve their vital objectives and contribute to Egypt’s sustainable development.